This week we are starting our Annual Fund-Raising Campaign. Thanks to all the Fraters who have helped Pi Mu in the past. 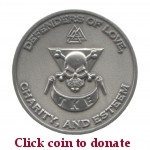 In previous years, we tried to only ask for donations when the Chapter was in dire need. As an Alumni Group we want to take this to the next level. We want to start an endowment fund to help the Chapter not only when in need, but to help sponsor educational retreats and eventually work towards purchasing some housing. At no time will any money be used for anything but these reasons. Once we get some seed money, we will create individual “buckets” in the future where you can donate to whatever fund you want. ie Housing, Educational, Chapter etc. As many of you know, the cost of keeping the Chapter alive has gone up 10 fold from when most of us were undergrads. The cost of liabilty insurance is $250 per member per year, this puts a huge burden on the finances. The active members now can pay their dues by credit credit, which makes lack of payments a thing of the past. We also work with a independent bill pay company to work with tardy payers. Alumni donations will not cover for active members who don’t pay their obligation!! These days we can not do the traditional fund-raising we used to, because of laws and regulations strapped upon us by the state and the school. Fraters, we have set up a quick and easy way to contribute at any level you feel comfortable with via PayPal & credit cards. Your donation is much appreciated. We will recognize all donors on our Wall of Charity for your generosity. Remember this web site is constantly evolving and we want to make it a reflection of the total membership. Check back often and please feel free to comment and offer advise. All help is much appreciated.